The Stew Peas recipe is a very popular Jamaican dish. 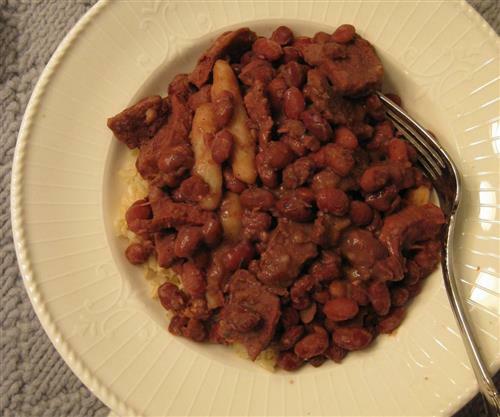 The color of this delicious dish is very important, which is why using the JCS brand of Red Kidney beans is the only way to get the dish right on point. Boil and drain salt beef (or salted pork tail) twice, in a medium size pan. Add coconut milk, spinners, and seasoning, cook for about an hour. Season to taste.